Lounging around on your couch, clicker and blanket in tow, might not seem like the most overtly social activity. Yet, these days, even when we’re spending the evening parked in front of the television, we’re able to connect with our friends immediatelyabout a show’s plot progression. 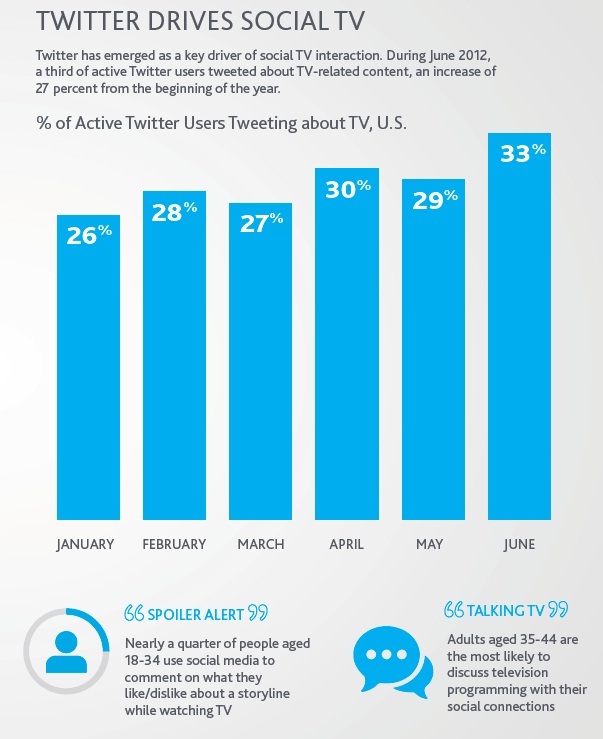 In particular, Twitter has been leading the way for developing a strong social TV landscape. 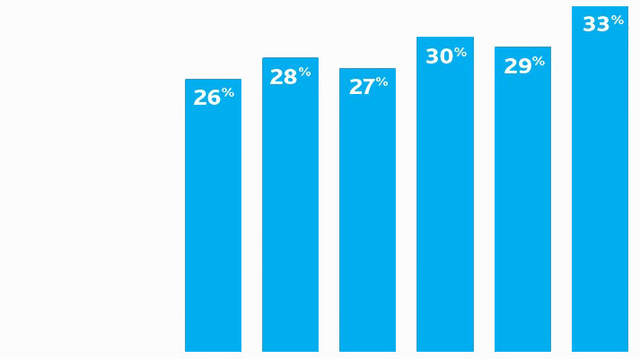 In Nielsen’s annual “State of The Media: The Social Media Report”, social TV demonstrated a growing user base. By June of 2012, over a third of Twitter users tweeted about a program on television, with the age 35-44 demographic being the most likely to comment on a TV show. In order to measure the power of social television, Nielsen will be working with Twitter to establish “a syndicate-standard metric around the reach of the TV conservation” by fall 2013. For the first time, broadcasters will be able to get an estimate of the number of people that participated or were exposed to an online conversation about their programming. 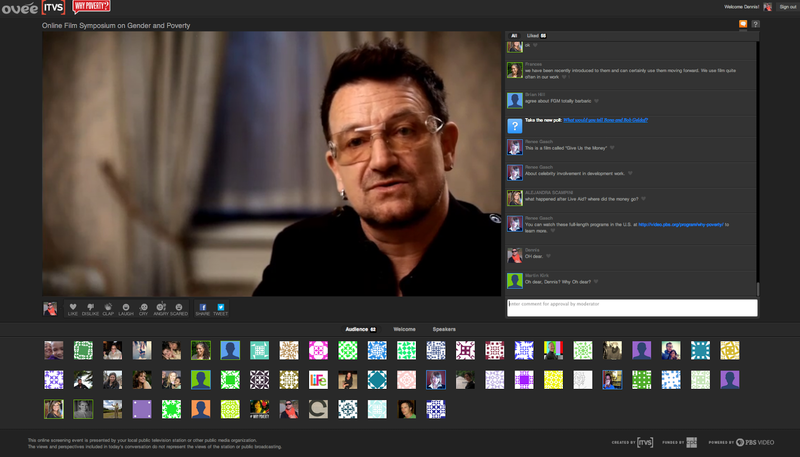 Public Media has also been capitalizing on the growth of social TV. Most notably, tech-savy, Downton Abbey lovers can check their Twitter feeds for instant feedback about the Dowager Countess’ latest sassy remark through the #DowntonPBS hashtag. PBS has also facilitated celebrity moderators, like Austenprose (@austenprose), The Daily Beast (@televisionary), Tom and Lorenzo (@tomandlorenzo) and Vulture (@vulture), to join the conversation. Their second-screen remarks add another dimension to the viewing experience. They make Downton feel like more than just TV show and more like a community. OVEE, a new social video platform exclusively for PBS and local stations, was developed by ITVS and exemplifies another big achievement for social television in public media. Dennis Palmieri, Director of Innovation and Media Strategy, explains “OVEE represents the very latest in social TV and second screen functionality, including numerous real-time interactive features to create a live screening experience online for up to 500 people at a time (and growing!) --all with a direct connection to the PBS COVE video system.” The product, which will be available for free to all public media organizations in fall of 2013, is currently in beta testing with a group of 25 partners. If you’re looking to live tweet a local PBS program, here are some useful tips. Additionally, feel free to comment on this post if you’re interested in learning more about OVEE and how to bring it to your station.